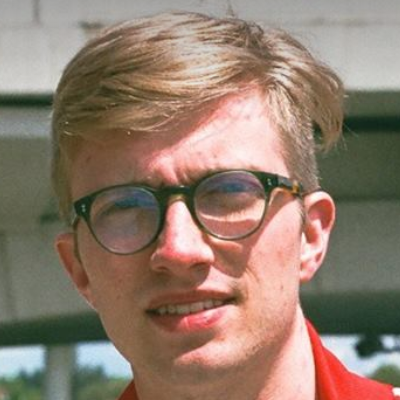 Golf management is no easy task and now that younger generations are getting promoted into management level positions you might find yourself managing day-to-day operations sooner than you think. Before you start managing the tee sheet, pro shop, and restaurant make sure you take some time to do some research and understand how to best run a golf operation. When you become the top-dog at the course you're going to face many challenges that operators are facing day to day. How will your course reach millennials? How can you reduce costs and improve efficiency? What technological tools are available to improve marketing and course operations? How will you grow revenue while keeping your loyal members happy? 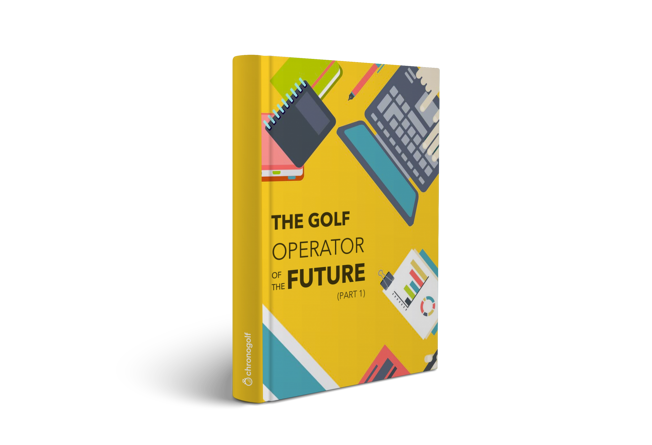 Of course there's no easy answer to any of these questions but leveraging modern tools and strategies developed for the golf industry will make it easier to impress customers and stakeholders alike. Key performance indicators guide general golf managers to develop a real understanding of the value of each tee time sold. Value often depends on the day and time you sell the tee time at. Data provided by your tee sheet and golf POS can tell exactly what times are most valuable. A good golf POS can help you learn what reservation channels people are using to book tee times and when your course is most and least occupied. 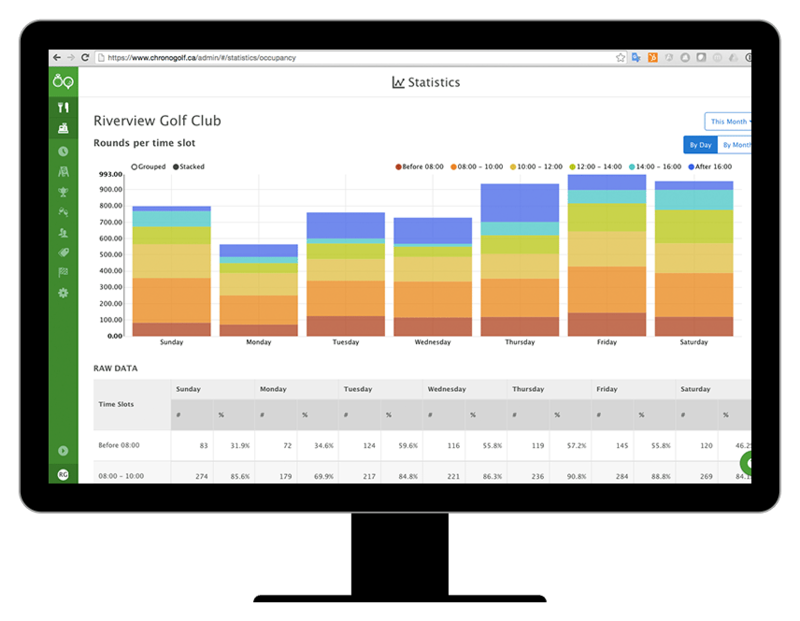 Your tee sheet management software should be able to provide this kind of detailed reporting and will help you make key decisions related to pricing, timing, seasonality, and marketing channels. Furthermore, historical metrics help determine benchmarks to measure your performance against. How well is the pro shop managing its inventory? A lot of golf courses sacrifice revenue when they use a poor inventory management system. Your POS is the heart of your pro shop and will be imperative to your success as a golf operator. Ideally, your golf POS should be able to tell you what categories and items perform best, but on top of that a good POS can tell you which employees are best at selling. Improve efficiency by using a POS that integrates directly with your CRM and Teesheet. 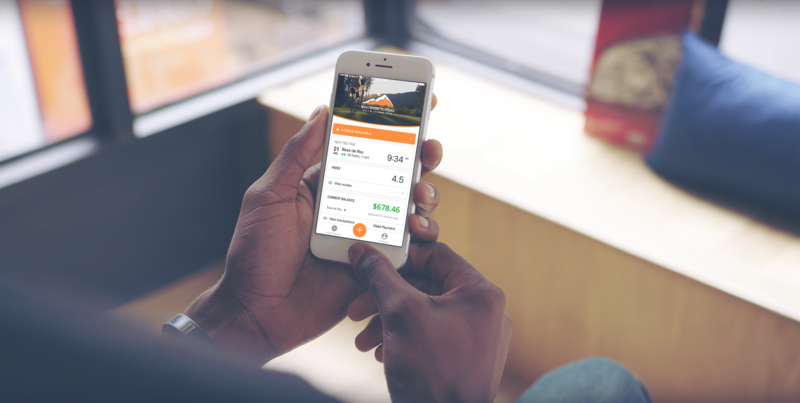 You can save so much time by implementing a system that seamlessly transfers information about pricing, players, tee-times, and house accounts. What has the course been doing to drive more business and attract new members? If your operation has not moved past traditional advertising strategies (print ads, radio, snail mail) there are a lot of options available, especially through online channels. You can also enhance your print and digital ads by adding promotional codes that are redeemable online, as long as your POS supports this kind of feature. What better way to immediately delight your most loyal customers and potentially improve revenue from return visits? Implementing a loyalty program will help you make your most important customers feel appreciated and valued by your course. If your golf POS has an open API, it should be possible to to integrate a loyalty software like Datacandy, directly into your system. If you really want to get young people excited about playing golf at your course, you need to target them where they are most comfortable. Millennials are known for loving their phones and spend a ton of time using apps. Unfortunately, browser based booking won't cut it anymore, young people prefer to book rounds of golf through an app on their phone. Best of all, mobile applications serve as a powerful marketing channel. 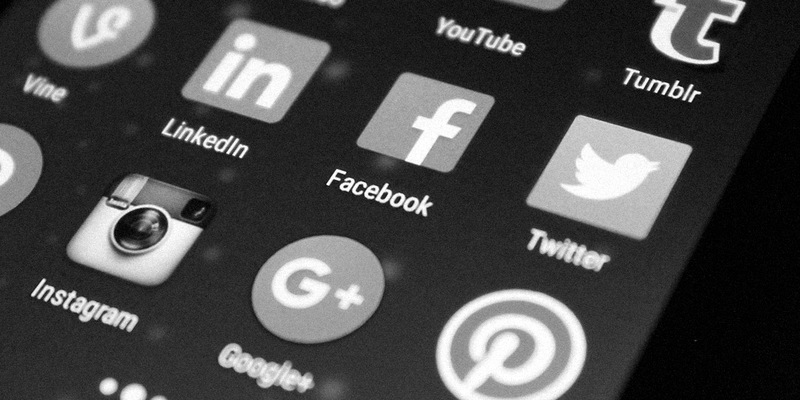 Push notifications make it possible to target a highly qualified audience directly on the front of their phones. This kind of ad real estate is deeply coveted by marketers because push notifications are known to have a higher probability of converting. At Chronogolf we believe in the best-of-breed strategy. 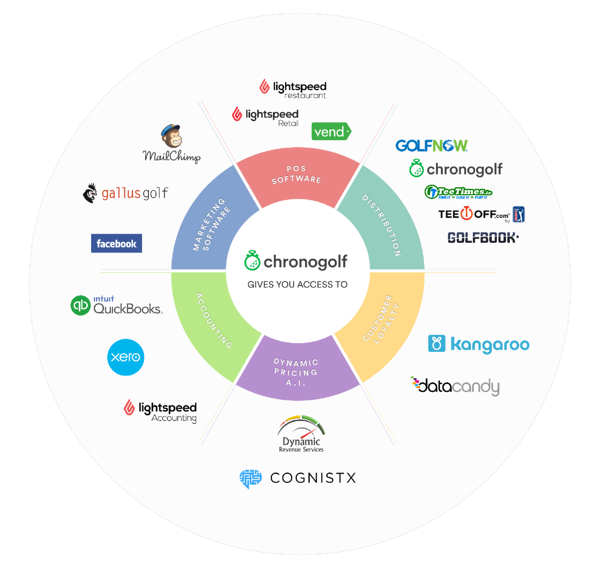 That means that our tee sheet management platform seamlessly connects users into a network of incredible software partners. 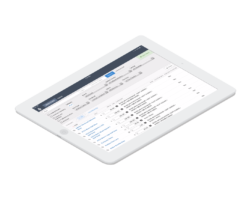 Cloud based tee sheet software gives access to the best POS system, marketing tools, distribution channels, and accounting software on the market. Now is the time to bring change your golf course! This is just a brief and simple start into the world of golf management. 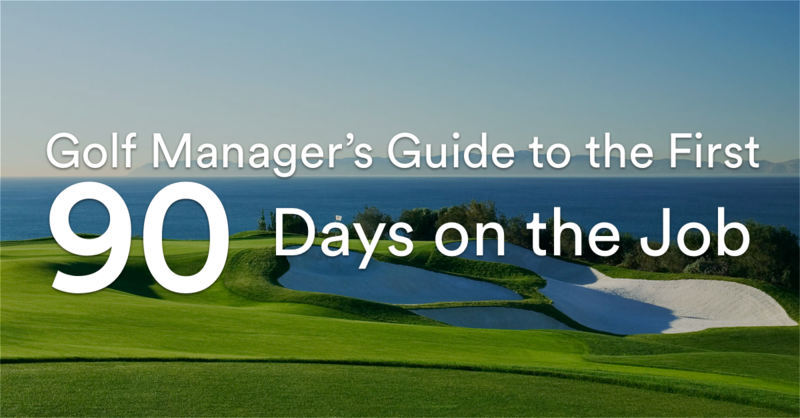 If you're looking for a broader overview, we provide a lot resources for golf managers looking to get educated about best practices in the industry. Now get out there and bring your golf course into a successful new era!